Warsaw, Poland- December 26, 2017 Parked cars along the road in the old town. 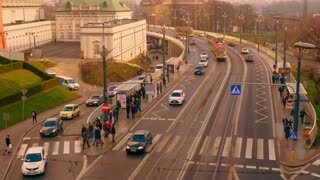 Warsaw, Poland- December 26, 2017 Morning traffic on the road in a sleeping district in the city of Warsaw. Warsaw, Poland- December 26, 2017 Evening traffic in the city of Warsaw. Cars are slow going. 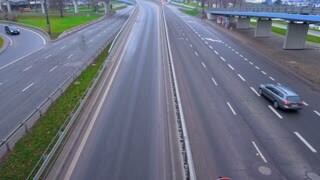 Warsaw, Poland- December 26, 2017 The embankment road along which cars go in the city of Warsaw. Warsaw, Poland- December 26, 2017 Central square in the old town of Warsaw. Warsaw, Poland- December 26, 2017 Crossroads in Warsaw, a red light is on. 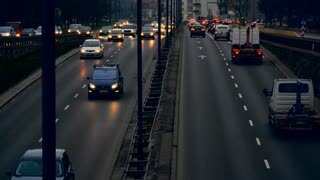 Cars are waiting when there will be a green one.